Select the categories above to view our products. Need something for home and garden displays? Our online catalogue has an impressive array of items for all kinds of decor. Click through to see our catalogue and remember to check back often, we’re always adding new items! Please note that to order, you’ll need to create an account. Thanks for stopping by! 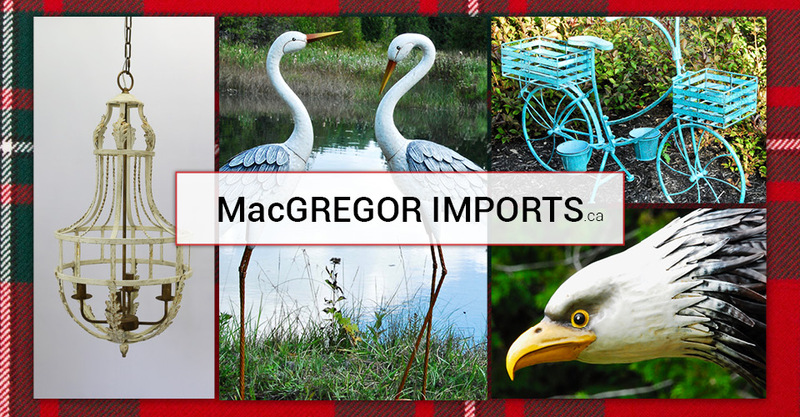 © 2019 MacGregor Imports Ltd.. All Rights Reserved. Crafted By: Vigilante R&D.